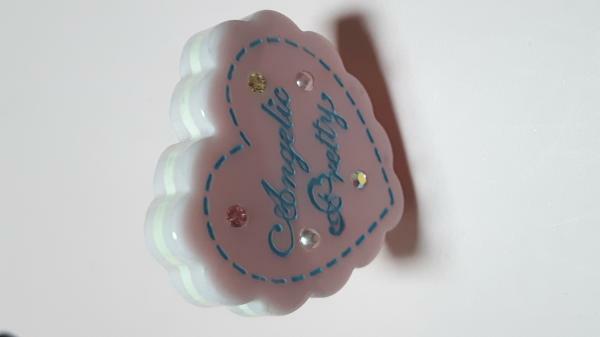 Heart shaped biscuit ring in pink. Angelic Pretty Wonder Cookie Ring. 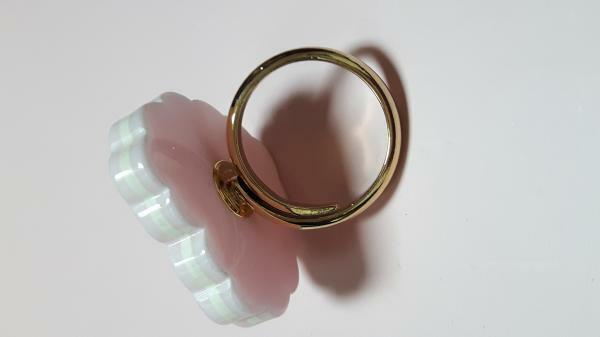 Heart shaped sandwich biscuit ring in pink with a white cream center. Decorated with Angelic Pretty logo writing, rhinestones and pearl details.